Essential Invisible at INTERSECT BY LEXUS – NYC A confluence of chemistry and biology creates a unique spirit in each of us—a distinct quality that emanates from our beings. The ancient Greeks named this an “Aura,” the atmosphere within and surrounding the human body. It was a celebration of the uniqueness of every individual. Leveraging some of the same technology and sensors that allow autonomous vehicles to see the road ahead, we can now see the unseen. By manipulating data from lidar, infrared, and 3D sensors, FUTURE WIFE has created Essential Invisible, an installation that reveals the ethereal way our Auras exist from within and around us. A collection of interactive mirrors expose the invisible spirit of each guest. By capturing radiant energy from beneath our skin, using wavelengths of light far beyond human vision, unique reflections are created. 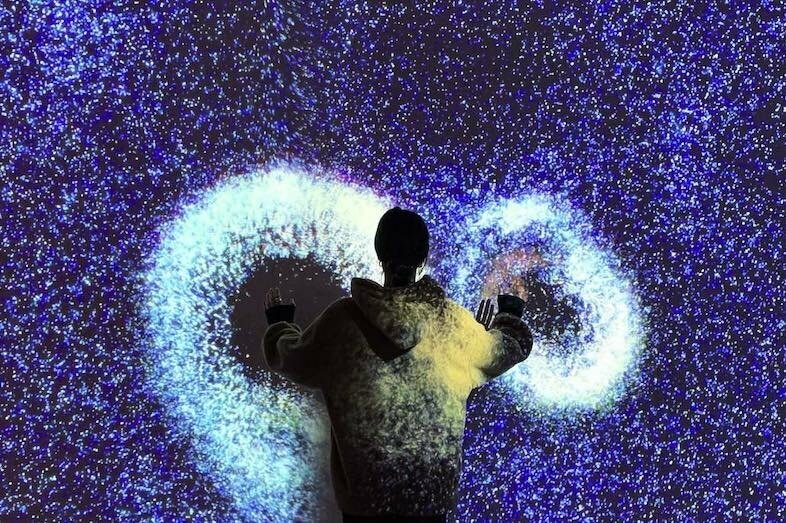 Adjacent, an interactive projection wall transforms human gesture into an ephemeral work of art. Visualized through otherworldly digital effects and projected on each guest, it reacts immediately to even the slightest movement. Essential Invisible, a view into the unseen self. Open now through March 5, 2019 at INTERSECT BY LEXUS – NYC.